This is a great show(! ), full of warmth and love and--occasionally--magic. The premise is one with which we've become familiar ever since Kiki flew into our lives: a young witch must leave home to train and make her way in the world. But leaving home doesn't necessitate leaving familial support, so we see city girl Makoto move in with her country cousins, the Kuramoto family of Aomori. The Kuramoto branch had previously cared for Makoto's older sister Akane when she too was training, so they really don't mind the bouts of magic that are again intruding into their everyday lives. Chitose, the youngest of their number, actually becomes rather taken with the idea. But this show is not about magic, and is a better show because of it. 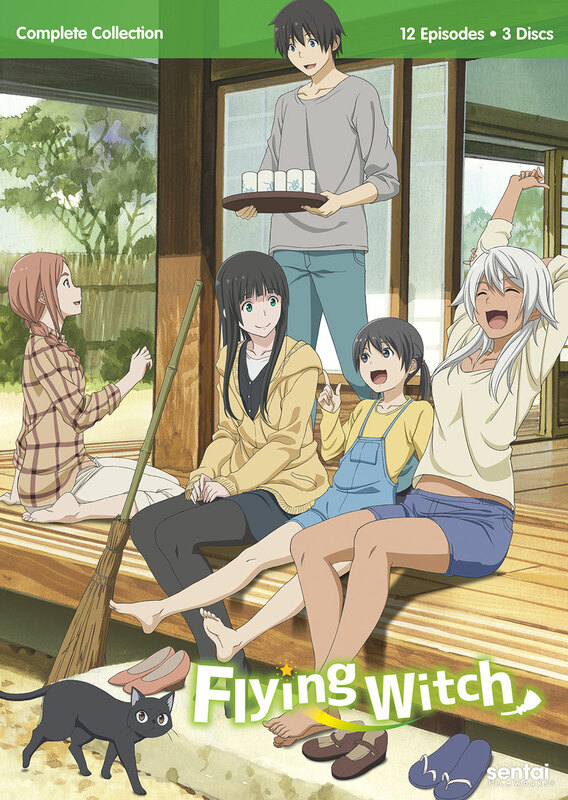 Flying Witch instead focuses upon family, specifically upon accepting and supporting each other despite differences. It is an emotionally nuanced exploration of love lived, and five stars aren't enough.